Pioneer has been discharging around the Apishapa River since 2005, though none of its four outfalls are on the Apishapa River’s mainstem. Pioneer is currently discharging at a rate of 1.8 acre-feet of water, or 600,000 gallons, per day. Pioneer has about 2,450 wells in the basin. The National Pollution Discharge Elimination System permit it has applied for, according to Pioneer’s senior energy environmental advisor, Gerald Jacob, would allow for a maximum surface discharge amount of 999,999 gallons per day. More coalbed methane here and here. On June 4, 2009, Colorado Governor Bill Ritter signed HB 09-1067 (pdf) into law. This new legislation becomes effective today, August 5, 2009. 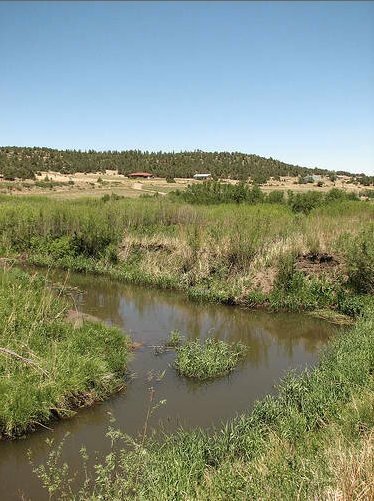 This exciting piece of legislation creates the Instream Flow Tax Credit program, which provides a tax credit of up to 50% of the value of a water right donated to the Colorado Water Conservation Board (“CWCB”) for use in the state’s instream flow program. This program encourages voluntary water rights donations to preserve Colorado’s streams and lakes. Please note, however, that the amount of annual revenue which the legislature can spend is limited by state statute. The ISF tax credit will not be allowed in years (such as this year) in which revenues are not expected to exceed this limit. Here’s the link to their FAQ on the legislation. More 2009 Colorado legislation coverage here. In June, Gov. Bill Ritter signed HB 1129 into law. Getting permits won’t be easy. Prospective pilot projects must ensure water that’s captured in a neighborhood would not otherwise go into streams. More Coyote Gulch 2009 legislative session coverage here. In other words, people who get their water from a utility are not allowed to capture and use rainwater. The fundamental premise of state water law is still that every drop of rain needs to flow back into a river or into the groundwater, where it becomes part of a downstream water right owned by someone else who previously claimed it. The tiny new exception is only for people who use a well for domestic water. And it only allows them to use the water for the same purposes specified by the well permit. In most cases, that means only indoor domestic use. It’s not legal to capture the rainwater and use it on outside plants, and it’s not legal to fill a hot tub with it, Hummer explained. More Coyote Gulch 2009 Colorado Legislation coverage here. From the Associated Press via the Aspen Times (Stephen K. Paulson): “It will be legal for homeowners to use rainwater for fire protection, animals, irrigation and household use,” [with an exempt well]. Here’s the New York Times article that got everyone’s attention. House Bill 1185 allows people filing paperwork for water rights to e-mail the application instead of mailing four paper copies to state regulators. Rep. Scott Tipton, R-Cortez, and Sen. Jim Isgar, D-Hesperus, were the sponsors. •SB 80 allows homeowners with a well permit to collect rain and snow from their rooftops for use in the house, to water a garden and for stock watering. Isgar and Rep. Marsha Looper, R-Calhan, were the sponsors. Here’s the link to the new streamlined water court rules also slated for their debut on Wednesday. Here’s the link to the Colorado Conservation Voters 2009 Scorecard. They’re pleased overall with the 2009 legislative session.